This European exclusive bag is designed to be slimmer than the Executive Plus, yet still as versatile. 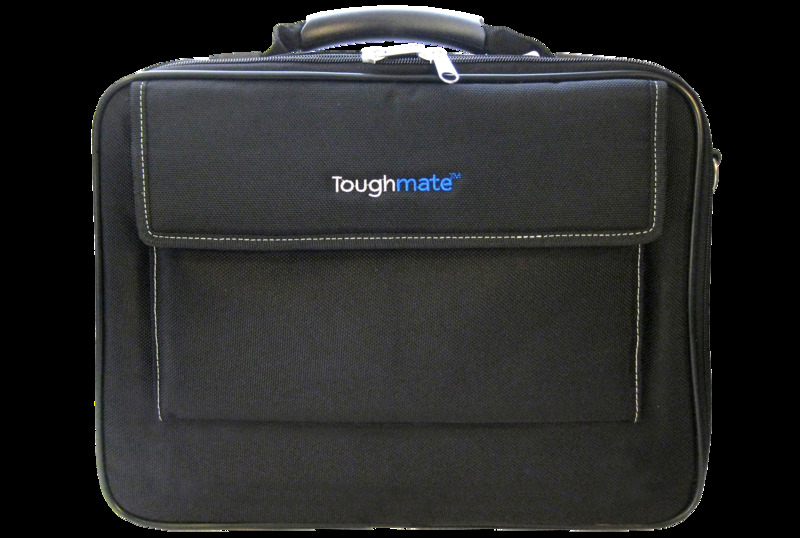 The fashion-forward tapered, tailored look maintains our signature Toughmate classic quality. Also, the Executive is built to Toughmate and Panasonic’s stringent principles. The outer pocket of the bag offers plenty of storage, while the inside storage area contains ample space for documents and more. Convenient strap easily attaches to upright rolling luggage handles.